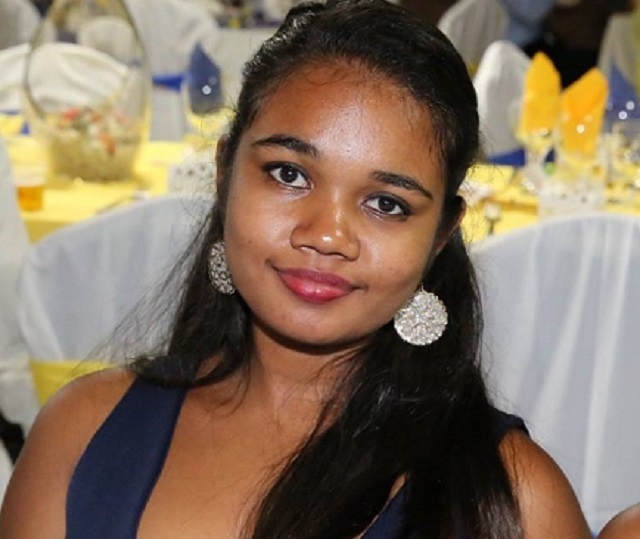 (Seychelles News Agency) - This week SNA presents an interview with Seychellois Anna Lespoir, who has achieved the highest mark in the world for Cambridge International ‘A’ level examination in business. According to Cambridge, ‘Top in the World’ refers to the learner who has gained the highest standard mark in the world for a single subject. Lespoir, 19, was bestowed the Cambridge Best Learner Award last month. SNA: Tell us a little bit about yourself? AL: Originally I am from Anse Aux Pins and Cascade, both in the east of Mahe -- the main island -- well it’s the districts where my parents came from. Currently, I am living with my older sister Joan at Pointe Larue. I have an older brother as well, my parents are both passed on. I lost my mother, Charlette, when I was 14, and my father, Joseph, during my last year at the School of Advanced Level Studies (SALS) where I studied Economics, English Literature and Business. My parents remain dear to my heart, and I miss them every single day. They instilled in me the importance of education for as long as I can remember. They always encouraged me to do better and believed in me. They are my source of inspiration, and the knowledge that they would have been so proud of my success keeps me going, and makes me want to give my best in everything I do. SNA: Coming first in the world is not an easy feat, how did you manage this task? AL: I can say that at both school and at home I did get all the support which has resulted in such great results. Not to mention that a great resource for me has been the internet and books; past papers have also been particularly helpful. I practised as much as I could which gave me confidence as I had an idea as to what the examiner was expecting of me. My lecturer, Sir Joshua Musyoka, also helped immensely. He was always ready to clarify my doubts and gave the occasional motivational speech. When I had lost hope before the finals, he told me to aim for an A* which I did not believe was achievable. It helped to have a lecturer who believed in me and always pushed me to do better. He helped me to remain dedicated and studious. Studying for my ‘A’ Levels have not been easy. My grades fluctuated throughout my final year. I encountered many challenges and felt like giving up numerous times. It was in those moments that I realised how much support I have, and this helped to keep me motivated. I had to learn how to prioritise my education over everything else. I tried my very best to complete every past paper and thoroughly understand my study materials. However, I must say that short breaks to watch a movie or get some fresh air every now and then have also helped me to relax and effectively carry on with studying. Family support was crucial - my sister, Joan, who was also playing the role of mum and dad to me, has been a role model in so many ways. She inspired me to do better and always reminded me that I can achieve whatever I want to if I put my mind to it. Joan and my brother in law, Sam, ensured that I had a good study environment and provided me with everything I needed to do well. Additionally, my boyfriend Hamza as well as other relatives -- my grandma, my Uncle Alain, Aunty Jacqueline, cousin Lucia and my best friend Lisa, played a huge role in being the support I needed during those difficult times, and I will be forever grateful to all these people. They have been my rock especially upon the loss of my parents. SNA: Were you expecting such results? AL: No, not at all. Because all through my last year, my grades kept fluctuating. I was shocked by my final grades and even more shocked by this award. Though unexpected I feel very proud of myself. It is my biggest achievement so far. SNA: With such excellent grades what are your plans for the future? AL: Go to University where I will be pursuing studies in International Relations and Economics. As for a career, I am considering the field of diplomacy or finance. 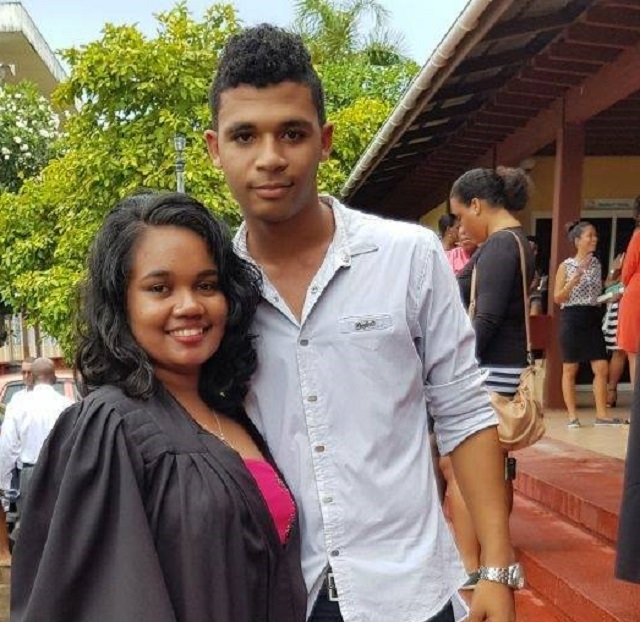 SNA: You are an inspiration to the younger generation, especially as our society is one plagued with social ills where young people face many challenges. What is your message to young people? AL: There are many challenges for youth in Seychelles, of which, in my opinion, drugs is paramount. Continued education is important as a preventive measure, as is the youth’s willpower to withstand peer pressure. At the same time, I have noticed that there are many young people with tremendous potential who are achieving so much, be it academic or in the sports field, and they should be promoted as an inspiration to others. I believe that a strong support network is important and that parents, family members and teachers should encourage the younger generation to have long-term visions which they should strive to achieve. 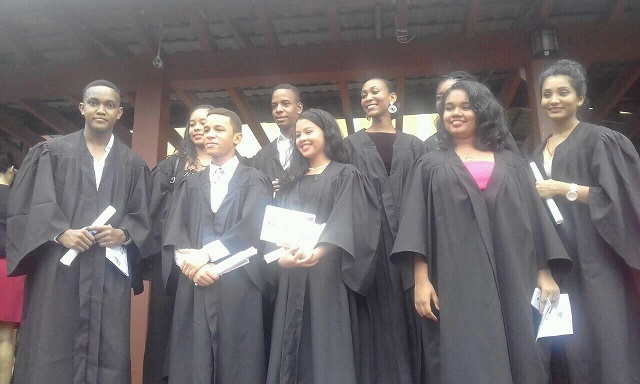 I encourage young people to believe that they can achieve anything they want to. Setting targets and working towards achieving these targets is key to doing well. And they should always keep it in mind that it is important to make sacrifices when needed.